The River Westbourne is a Thames tributary starting from Hampstead Heath. It was originally known as the Kilbourne, because it passed through tKilburn, and because the suffix 'bourne' is the Anglo-Saxon for 'river'. The Westbourne once flowed into the Serpentine until it was dammed by Queen Caroline in 1730, and now connects to the sewer system. When Belgravia, Chelsea, and Paddington were developed during the mid nineteenth century, the river was built over and directed into pipes. You can see it travelling through a green pipe at Sloane Square station. The Tyburn is a stream running underground from South Hampstead through St. James's Park, and into the River Thames. 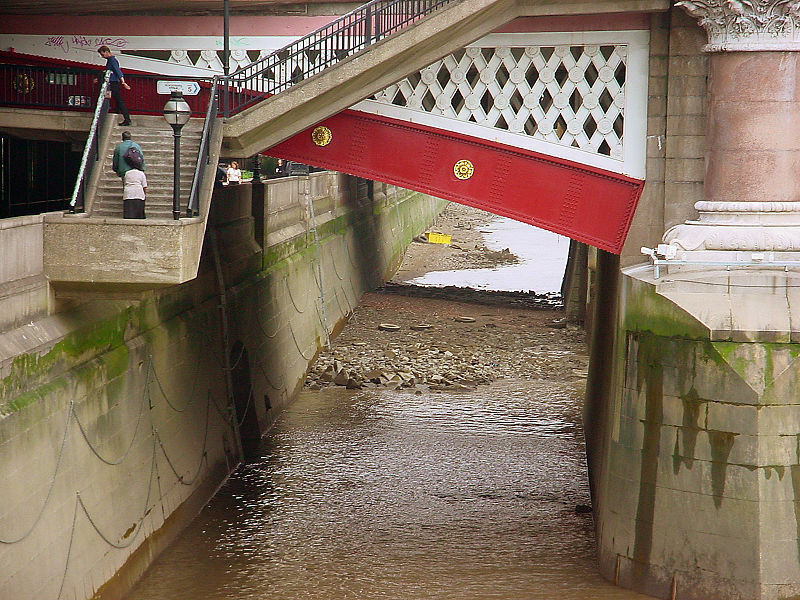 The Tyburn also travels under Buckingham Palace, connects to the sewer system and can allegedly be seen flowing under Gray's Antiques in Mayfair. The River Fleet is London's largest subterranean river. It started out on Hampstead Heath as two waterways, which were both dammed in the eighteenth century. It is now part of the underground sewer system that joins at Camden Town. It continues to King's Cross, and once travelled under Battle Bridge, where Boudica is believed to have fought the Romans. 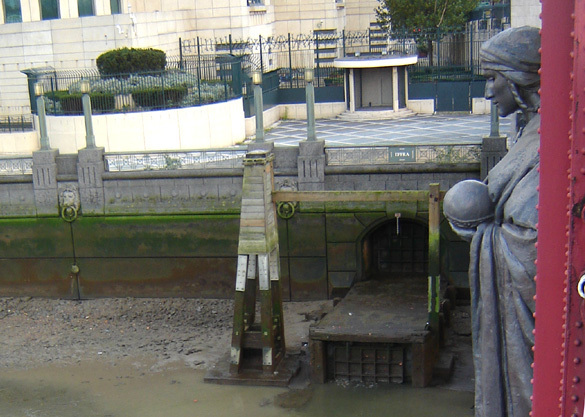 It joins the Thames at Black Friars Bridge, where it can still be seen. The River Walbrook played an important role during the time of the Roman Empire. It acted as a route of transport, brought in fresh water, and deposited waste in the Thames. The Romans built a port and the a temple to Mithras by it. The brook is believed to be named after fact that it travelled under the London Wall. Starting in Finsbury, the Walbrook is one of the earliest 'lost rivers', having been covered over by order of the Lord Mayor in 1440. Nothing of it can be seen above ground. The River Effra probably has the most mystery - or at least speculation surrounding it. 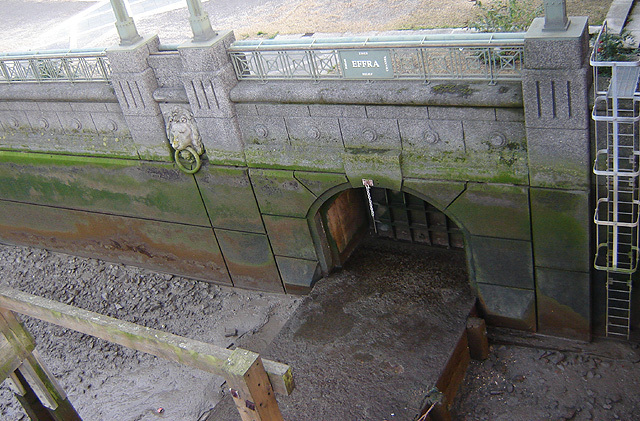 Since the mid nineteenth century, the Effra has been part of London's underground sewerage system, with a visible outlet at Vauxhall. It has a much grander - or theorised grander - past, with claims that it was once travelled on by King Cnut and Queen Elizabeth I. There is also dispute about its name. Some think it comes from the Celtic word for 'torrent', while others think it is an old pronunciation of Heathrow.